Sveti Andrija (Croatian for Saint Andrew), often called Svetac (Croatian for saint). 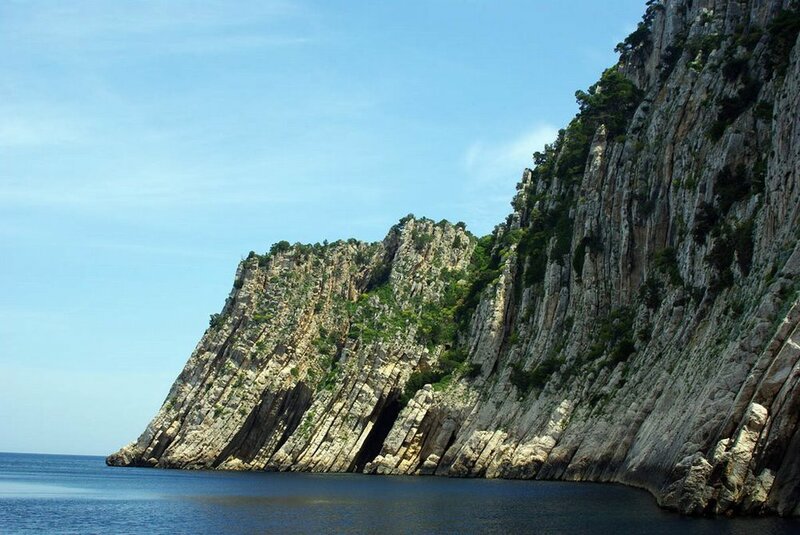 It is situated 14 nautical miles (26 km) from Komiža (a town on the island of Vis). It is uninhabited, although it used to have permanent residents. Remains of Byzantine origin can be found on the island. The population census on Svetac from 1951 was 51, but all of these people are now deceased. The last one of the group was an elderly woman who died in 2000. Near the west coast of the island there is the small island of Kamik, and farther on the open sea there is the volcanic island called Jabuka. 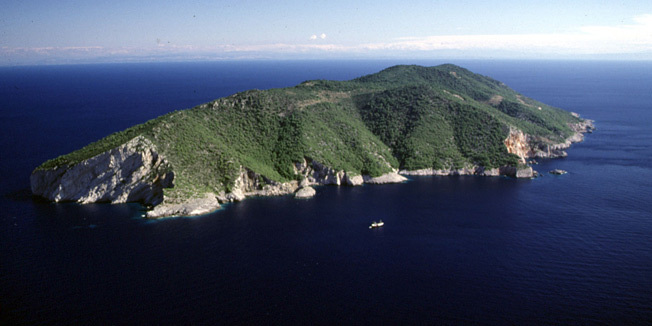 About 2.5 km (1.3 nmi) to the southeast there is the small volcanic island of Brusnik. The island is a breeding ground for a small number of Eleonora's Falcons, a rare bird with only c. 80 nesting pairs estimated to live in Croatia. The falcons migrate to Madagascar every September and return to their nests in April.